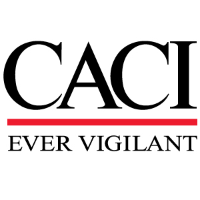 CACI has two contingency openings for a Navy Tactical Command Support System (NTCSS) Senior Logistics Analyst (SLA) under the Naval Forces Logistics (NFL) contract to support Navy clients at CNAP N01F, NASNI, Coronado, CA. Serves as CNAP N01F POC on Unfilled Order / Obligation Validation Review / Unliquidated Obligation (UOL/OVR/ULO) reconciliation for CVPAC / MALS / NAS / SQUADRON tenant commands. Performs QA on response UOL/OVR/ULO products, assists tenant command Financial POCs, and performs applicable N01F Accounting Technical after actions. Participates in ongoing N412 and N01F UOL/OVR/ULO Tiger Team meetings on Unliquidated Obligation mitigation. Bachelor’s degree in Business Administration, Management, or related business discipline. As a substitute, eight years of experience in a combination of Navy and logistics and AISs management may be utilized. Ideal candidate would be a former Navy Enlisted Logistics Specialist (LS) with CVN/NAS/NAF/SQDRNs tours. Aircraft Carrier (CVN) or L-Deck Financial expertise. NTCSS Force Level (RSupply/ Optimized NALCOMIS) expertise.